Today we get a sneak peek into a former McKinsey consultant’s first year of life at the firm. True, true – many of you are dreaming about that coveted MBB job offer, with the prestige and lucrative lifestyle that follows. Rewind. You thought that getting the job offer is the end point, when in reality it’s only the very beginning. Because of this, we sat down with consulting veteran Lisa Bright (who is now part of the MC interview coaching team!) and asked a few questions about her time at a non-core school, breaking into McKinsey, and her early career to find out what McKinsey life was like for her. We hope you enjoy this great insider post – useful for all aspiring consultants! Firstly, tell us a bit about your background and how you became a consultant. Well, I grew up in a fairly small town in Ohio. I majored in accounting, finance and supply chain management at a college in the state (Miami of Ohio). I was going down the route of finance, asset management, investment banking, or something like that. Then, a professor of mine suggested I reach out to one of his ex-students who had become a partner at McKinsey. I started researching management consulting online, and it really seemed up my alley. I tend to get bored with a given topic quickly. After 8 weeks, I’m thinking, “Okay, I’ve had enough of this particular thing and I’m ready to move on.” Consulting seemed like it would fit me really well because it lets you try out a lot of different industries and functions. The school I was at isn’t one of McKinsey’s core schools, so I had to do a lot of reading online to prepare for the interview, get accustomed to case interviews and stuff like that. I didn’t cram like a lot of people do; I spaced out my studying out over a couple of years and that was really helpful for me. And how was the actual recruitment process for you? Were you expecting to get hired? 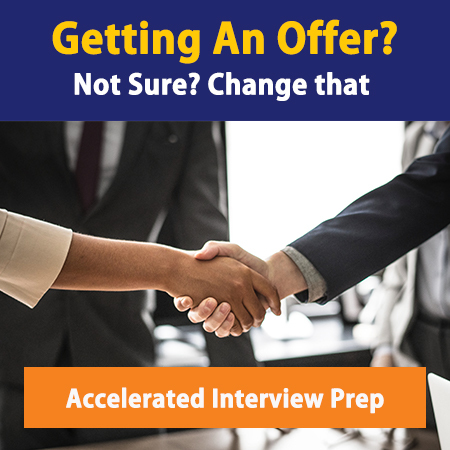 For the interview process, I did one phone interview which was pretty basic “getting to know you” style, and we did a case along with that. Doing a case over the phone is a little different than in person because you can’t show them things as you’re working through the case, so you really have to sharpen your communication skills. Then, they flew me out to the Chicago office where I had my first round interview. I had 2 interviews in Chicago back-to-back. Both interviews included a behavioral type question, and then a case. And then after that I had 3 interviews with partners in the Cleveland office. The Cleveland interview was pretty intimidating because I had cases with 3 partners. That was rough. One of the guys does mostly investment banking, and he gave me a tough insurance case. I walked out of the office thinking there was no way I got it, and probably 30 minutes after I left the office, they called me and said, “Hey, you got the internship position.” In short, I was offered an internship at McKinsey in the summer of my junior year in college and after completing a successful summer, they offered me the full time job. How was settling in at McKinsey for you? I really didn’t know what to expect on my first day, even after I went through the on-boarding and training process. I spent my first day on an actual project using power tools because we were doing bottom up costing for different products. It wasn’t what I expected, but every day can look very different, depending on the project you’re working on. They tell you about the travelling etc, but I kept asking myself, “Am I missing something here? Why am I’m not understanding what a typical day looks like for a consultant?” Well, there is no typical day. It can be all over the place. It keeps it interesting, though. Was there anything that surprised you when you started? I sent an email to a client in my first week or so, and I copied another internal department in too. There was no threat to client confidentiality or anything, because the email never even came close to reaching an outside party, but the client had some concerns. My manager stepped in for me. When you’re new on the team, they look out for you. So my manager talked to the client, explained that it was an internal McKinsey team who received the email and smoothed it over for me. I was just so aware of how privileged I was to be working at McKinsey and when you work there, you want to live up to the prestige of the company, you know? It was my first week and I made a mistake. Even though, looking back, it was minor, I thought they’d turn around and tell me they’d made a mistake and that I wasn’t McKinsey material after all. But like I said, they really look out for you and the problem was really easy to resolve. Nothing bad came of the situation, but I was definitely worried for a little bit! How long did it take before you started to feel settled in? I noticed after about the 3-month mark I had learned the ropes. How to get pages made, how to get research done, how much I was producing a day, etc. They say there’s somewhere around a 3-month bedding in period and after that, everything ramps up. I really wish I’d had a book like 3 Month Mastery for that period – it would have helped me get over the hurdle by preloading a lot of my work! At the end of my 3-month long internship, I was feeling a lot more confident. Then, when I came back full-time after college it was even better. Being able to intern and get that 3-month learning curve out of the way was really nice when I came back. Tell us more about your learning curve. Being able to structure pages, taking very detailed, complex data and content and communicating it in a very clear, concise way to a high level client is really an art that takes a while to learn. They don’t expect you to be able to do that right away. My paired analyst told me how we should lay it out, how we should communicate, and more. I remember my first attempt at making a deck. I showed it to the analyst that I was working with, and he told me, straight up, that they did not look like McKinsey pages. I felt pretty useless, but he coached me throughout the process. What did you make of your work hours at McKinsey? For me, because I was so busy in college, it wasn’t too big of a shock for me. But in a typical week, I’d catch a flight at 6:00 am arrive by maybe 8:00am on Monday morning, and work for 12 hours on the project, maybe 16 hours a day on a tough one. I’d work like that on Monday, Tuesday and Wednesday. On Thursday I’d fly back, get home in time for dinner most of the time, and usually have an okay Thursday night, when I’d get to relax a little bit. Fridays I’d try to be out of work by 5:00 and the weekends were generally mine. It did depend on the project, however, because if I was on a short 2-week due diligence project, I didn’t have a weekend. Those projects are really interesting to work on because you go really deep in 2 weeks on whatever you’re doing but it’s not a pace that you want to sustain for too long. Generally speaking though, it was usually a 60-70 hour working week. What would you say was the hardest thing for you in your first year at McKinsey? Getting used to the pace of working. One person said to me that whatever a client would produce in a week or whatever rate they work at, you need to be producing at 5 times that. What they do in a week, you do in a day. It’s rapid deadlines and very quick turnarounds. We’d have a meeting tomorrow, which meant we had to get all this stuff on pages tonight. At other places I worked, I’d get told what was needed by Friday. That was typical. At McKinsey I’d get told what was needed by morning, I’d look at the clock and it was 5:00 pm, so I’d have to get moving and hope nothing else came up. My days were typically filled with meetings with clients or working with other people on my team. That means a lot of the analysis in Excel and production of PowerPoint pages happened at night. That kind of pace took some getting used to. Last question; if you could do your first year again, what would you do differently? I would really be better at organizing my time, both work wise and personal time. I got into this rut which was pretty much just work, work, work all week. Then I’d come home and crash for 2 days, and start again to go back to work. I didn’t really find that right balance. People who have been in consulting for longer have figured out how to do better during the work week. It’s about telling your team you need to work out at least 3 times a week, need 30 minutes to talk to a significant other at a certain time at night, etc. It’s really about figuring out what works for you both during the week and during the weekends so it’s not a continual cycle of work and then crash. In consulting, if you don’t find the right balance for you longer term, you’re not going to be happy. It’s the people who can figure out how to make it work, who find that right work-life balance, that can stay there longer. I see people who have done it. It’s challenging to do that, but it’s something that you just have to be really firm about – knowing what you want and sticking with it.